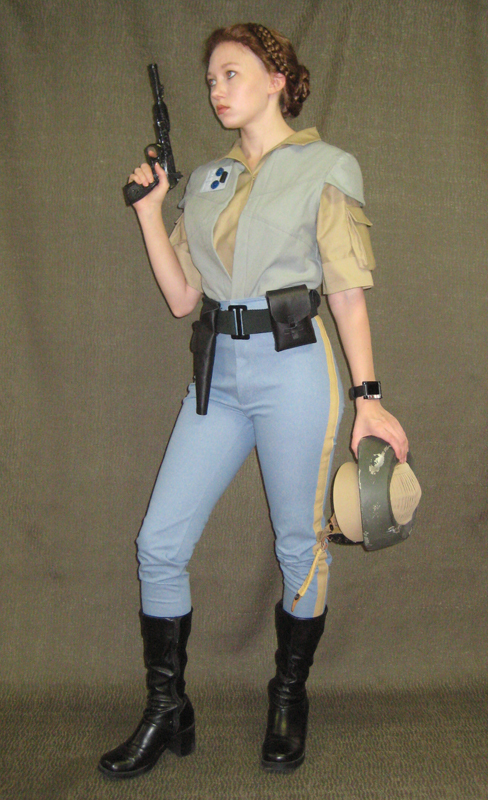 This is the outfit Leia wears during the briefing scene in Return of the Jedi, plus the camoflage poncho and helmet during the Battle of Endor. The pants are made of a stretch denim, and both the shirt and the vest are made from cotton twill. 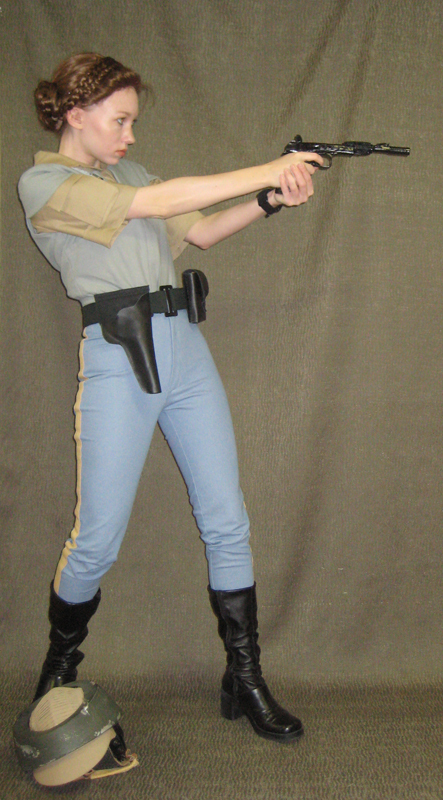 The belt, holster, leather pouches, rank badge and wrist communicator were all hand crafted from scratch. 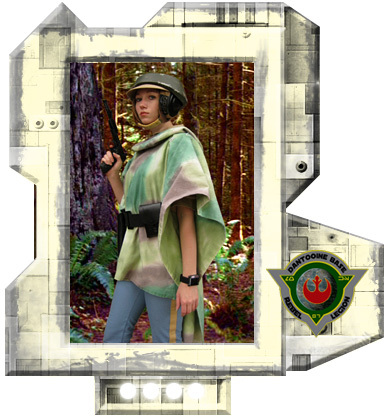 The poncho was made from twill and painted. The helmet is from Richie's Armor.